Moon rises work well a day or two before, or the day of the full moon. On the day before the full moon, the moon rises about 20mins before sunset, then, the day of the full moon, it rises just after sunset, and, the day after the full moon, it rises 50 mins after sunset. October 13th, the Hunter's Moon. Check with us for details. Yes, all in one day! Sail from Rockland to land on Lasell island and have a lobster bake with the setting sun. Sail into the sunset to see the fireworks off Camden. Return, under the stars, past working lighthouses, back to Rockland. Photo: Rich Hansen. 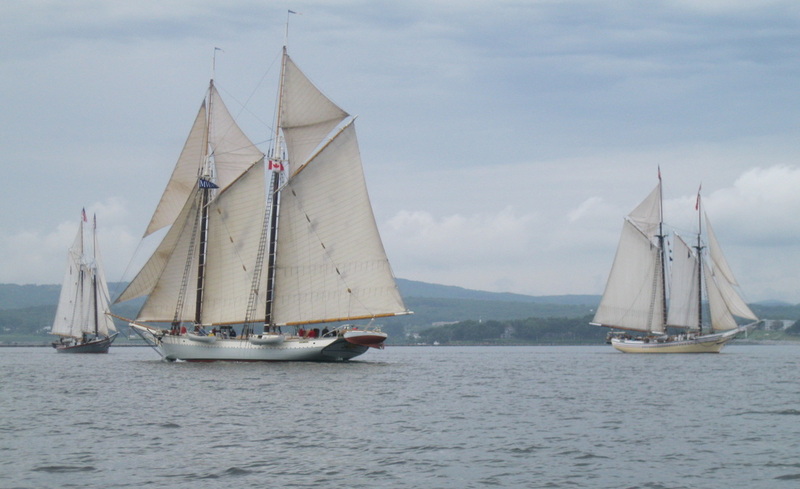 Bufflehead with Tanbark sailed ketch Angelique and the Rockland built schooner Heritage. 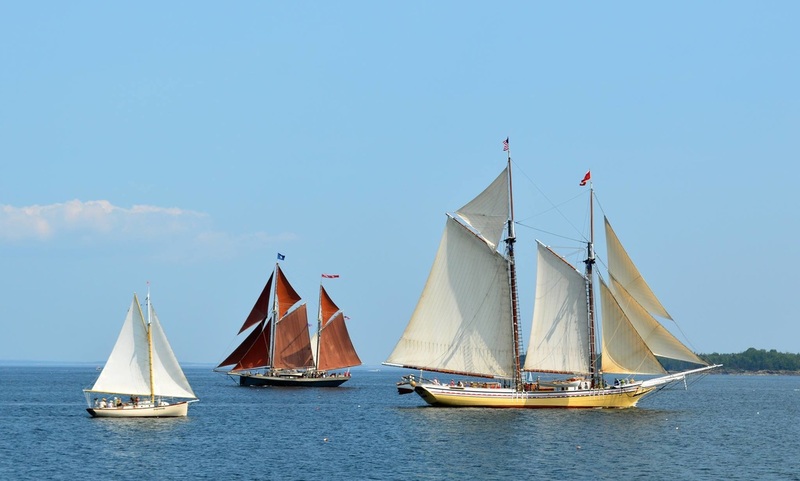 Join us as we frolic amidst and along with the fleet of Windjammers. Sail close up by these graceful glories of one of the world's largest surviving fleet of working sail. Sunset sail also awesome with several boats anchoring up together in the harbor.